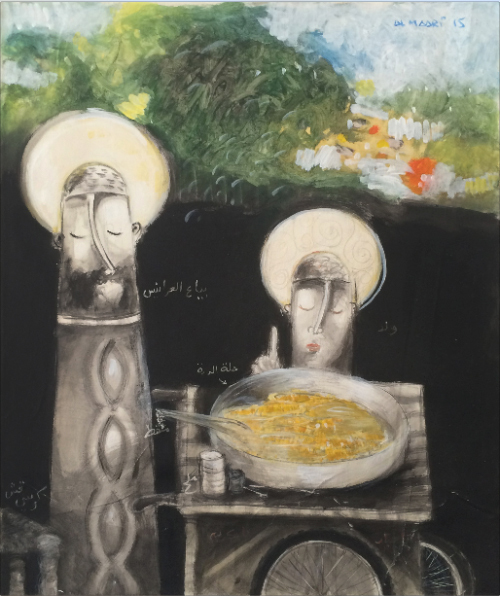 Born in 1978 in Damascus, Syria, Boutros al-Maari obtained a Ph.D. in Social Anthropology from the École des hautes études en sciences sociales (EHESS) in Paris in 2006, and a degree in Printmaking from the Faculty of Fine Arts, Damascus University, in 1991, where he is currently Professor of Fine Arts. 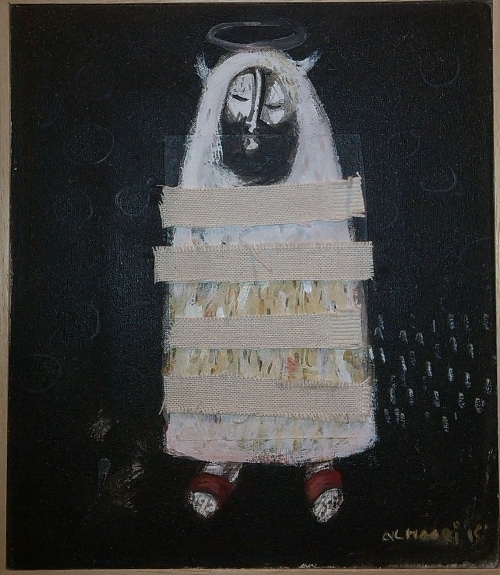 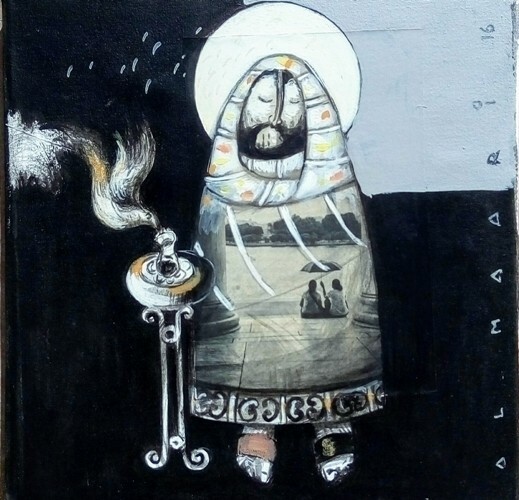 Al-Maari has held several solo exhibitions in Paris and Damascus, and has participated in a large number of group exhibitions in Damascus, Beirut, Alexandria, Hanover and Paris. 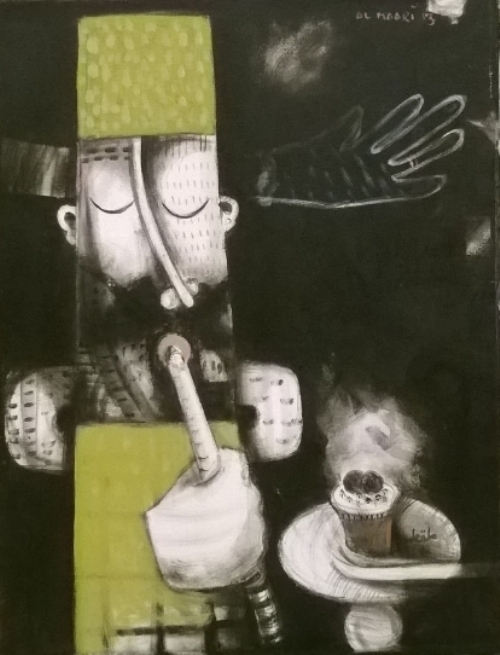 In his paintings, Boutros al-Maari reflects the relationship between time and place, inspired by memories of lived experiences. 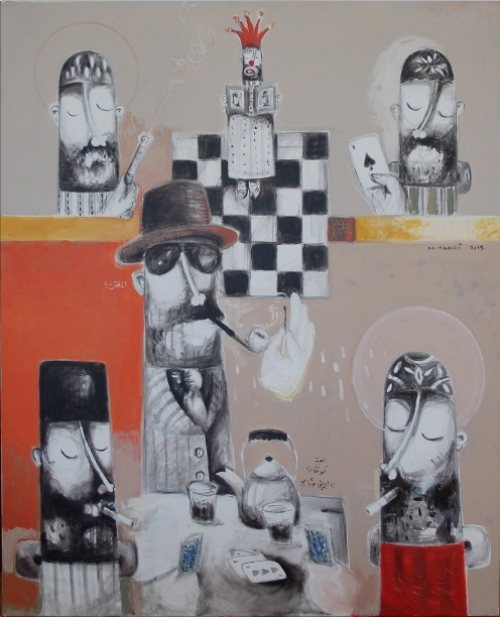 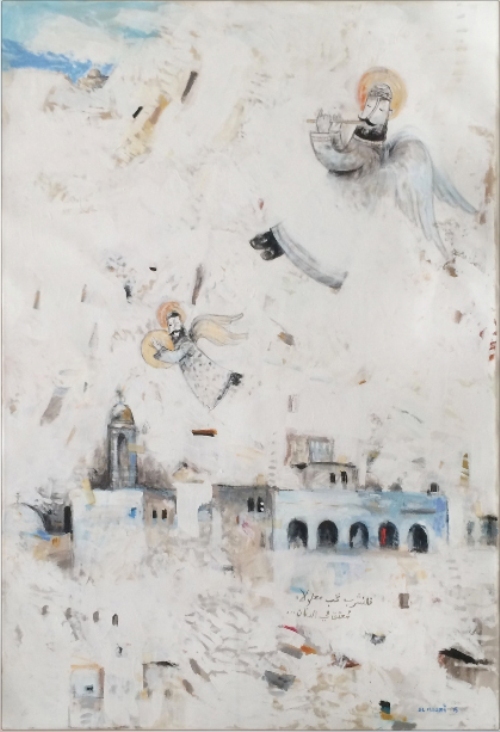 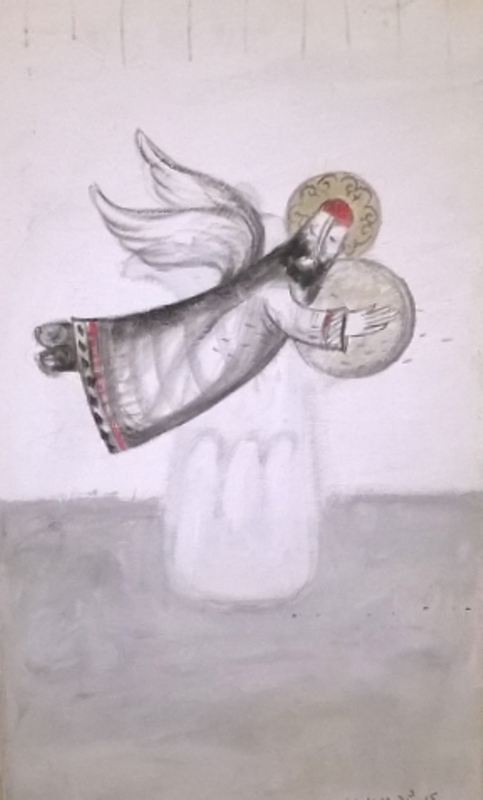 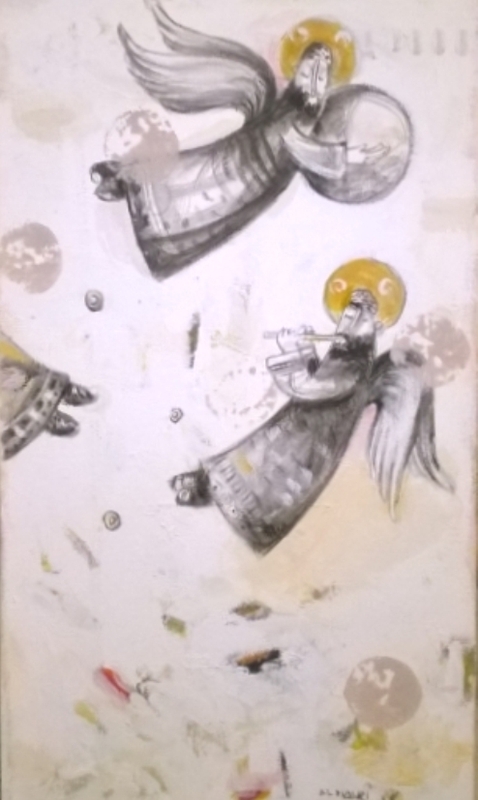 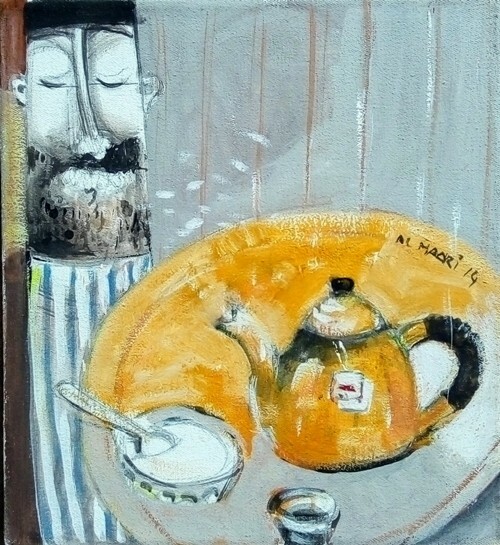 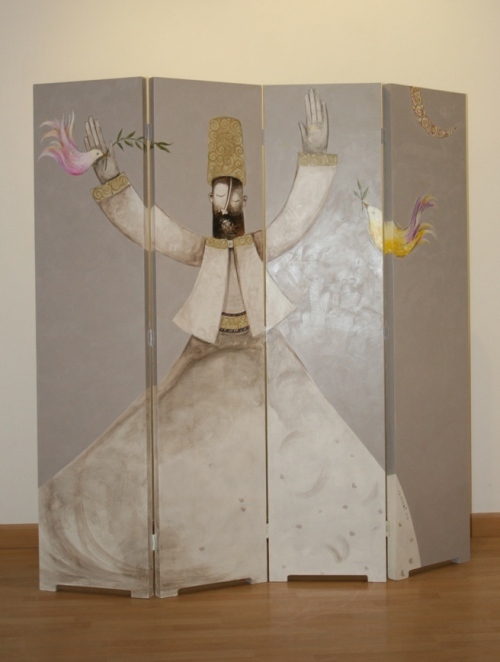 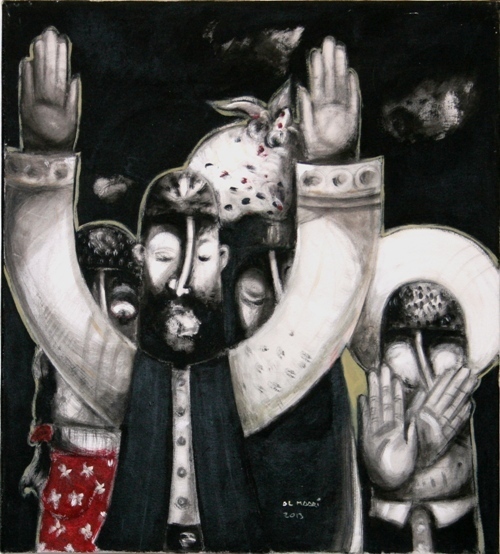 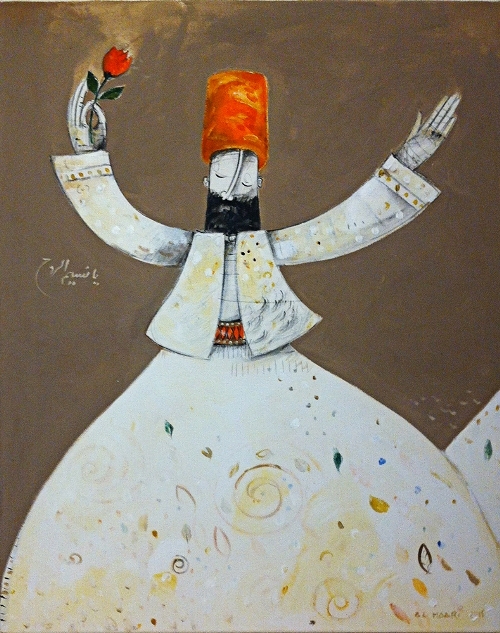 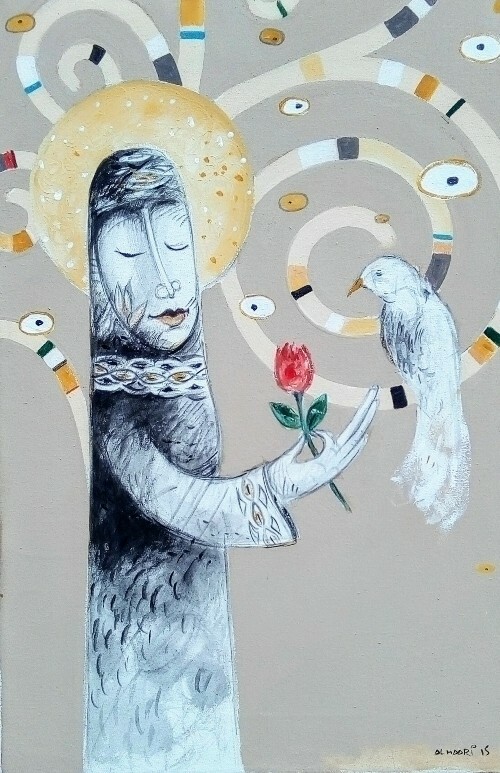 Utilizing simple, yet strongly expressive characters, he projects his artistic vision by connecting figures from his life in Damascus and Paris. 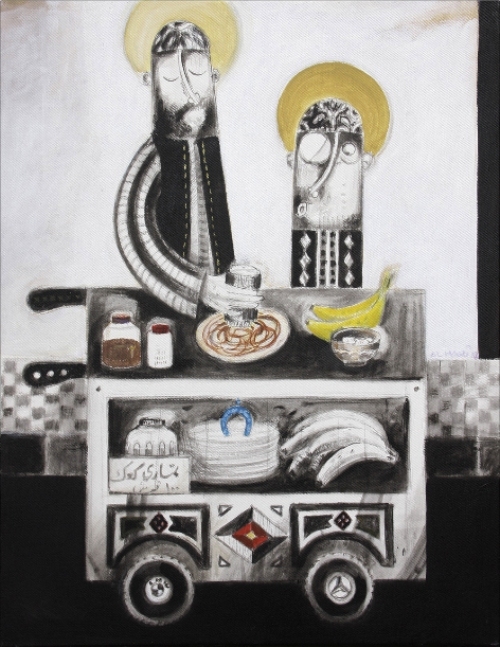 He lives and works in Damascus.